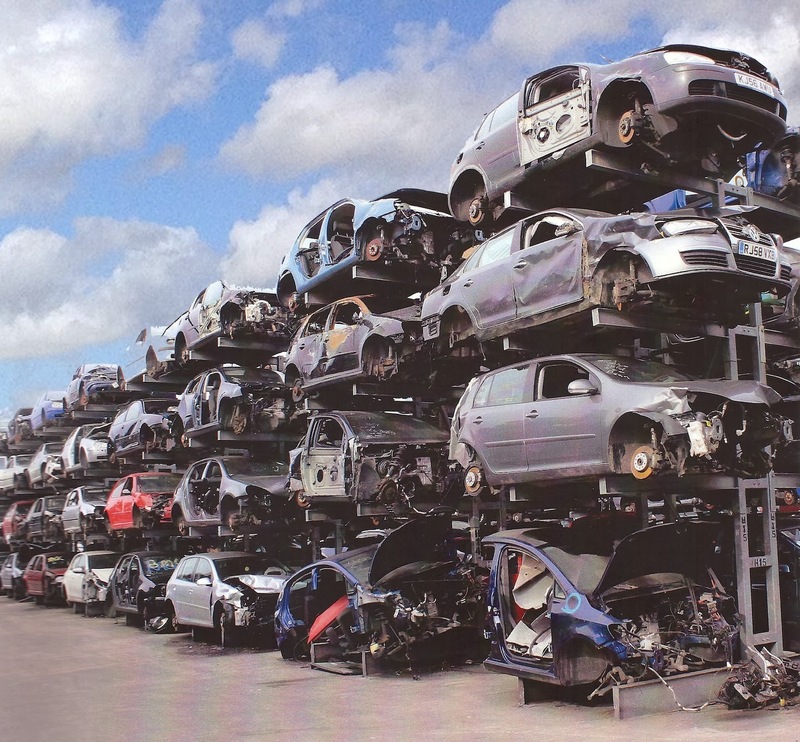 British Vehicle Salvage Federation: Time To Re-Assess Salvage Categories? It would appear that the problem relating to Insurance Company Applied Salvage Categorisation may be more widespread than we first imagined. The BVSF ask again for any blatant cases of “commercial categorisation” to be brought to their attention for discussion with the ABI. As previously advised the ABI have expressed their willingness to view, discuss and try to resolve any cases of commercial categorisation brought to their attention and a meeting is to be held with them shortly. Alan Doughty gives an insight to his personal thoughts on what he considers is at times a confusing situation for Engineer Assessors in the categorisation of vehicle salvage. Little brings more confusion to the vehicle damage assessing process these days than the application of the ABI Code of Practice for the categorisation of Salvage. I find myself asking is the current code of practice still “Fit for Purpose” as many Insurers appear to applying their own and often quite conflicting take on the interpretation of the current code of practice. In talking to many Engineer Assessors, some are now at a loss as to what category is to apply to any particular vehicle having to take into account the often conflicting directives set by their employing companies or work providers. This leads me to consider how Independent engineers often working for many different insurers can keep up with various conflicting Insurance company directives on how the Code of practice is to be applied or even see the sense in often quite different and potentially dangerous salvage category applications. Engineers are being instructed not to use certain categories. Foul water flood damaged/ contaminated vehicles are having their categories changed from “A” in order to increase sale prices with little regard to the ethics of selling on such vehicles or their components. The world of course constantly changes and not all changes it would seem are for the better. Some new players into the Insurance Industry may have seen much of this as being old fuddy duddy stuff. Designated supply chain managers began to emerge and influence a brief to actively seek out ways to change the state of play in order to gain commercial advantage over their competitors; Supply chain management became the new mantra. All of course commendable aims as responsible Industries constantly need to evolve, review their working practices, cost bases and customer offerings. New thinkers from outside the Insurance industry often brought with them sound and just ideas for new working practices, however on the other hand there were some very questionable team members who knew of or cared for very little of previous practices or principles. Sadly in common with other financial industries some of their legacies would now appear to have left us with some strange and potentially dangerous decisions on process, most likely by those who were well rewarded at the time and have now left the industry to take their now questionable ideas elsewhere. Some of these teams opened up a real Pandora's box of dubious processes all trying to outplay each other, with some so devious and complicated that the OFT are now trying to bring some common sense to it all. It does sadden me that the influence of engineering within insurance companies appears to have declined over recent years, this at a time when the engineering challenges presented to the crash repair industry are actually increasing, becoming more demanding and complex as the result of emerging new vehicle technology. It would appear in some cases that repair supply chain management decision makers are often paying little heed to advise given by in house engineering staff or their appointed consulting engineers. The correct categorisation of salvage and its subsequent safe and ethical disposal arguably starts and ends with the major insurers; they initially set up the code of practice though the offices of the ABI and enjoyed the benefits. In view of the current inconsistency in its application by many insurers they appear to be saying that it is not now fit for their purposes, if this is the case then let us have it reviewed to better reflect today’s perceived needs. The insurers themselves have the ability to collectively sort the current confusing application of salvage categories; they just need the desire or a push. Who knows, some of the fallout from the OFT review may be the catalyst needed for this. As the ETC at Thatcham along with the ABI were the initial conduit for establishing the present code of practice, perhaps it would make sense if all were to agree for them to revisit the code and rewrite it for what all consider are the industries needs in 2013 and beyond. · Does the industry really need a common set of rules i.e. Code of Practice for all to follow or should every Insurer / vehicle disposer be able to sell damaged vehicles as they see fit? · If a code is desired who is best placed to draft and regulate it? · Who should be able to categorise salvage, should this be only competent engineer assessors? If so what should determine such competency? · Do we need the current 4 categories? · Should there just be 3 i.e. Crush, break for spares, repairable vehicles? · What should determine a repairable vehicle? · Should those vehicles deemed to be repairable only be repaired in locations that achieve PAS 125 standards and be certificated on completion? · Should salvage be required to stay within the UK for repair or eventual disposal? · Should there be legislation?? This article recently appeared in 'The Assessor' magazine, and we are very grateful to the author of the article Alan Doughty and the editor of 'The Assessor' for their permission to reproduce the article.